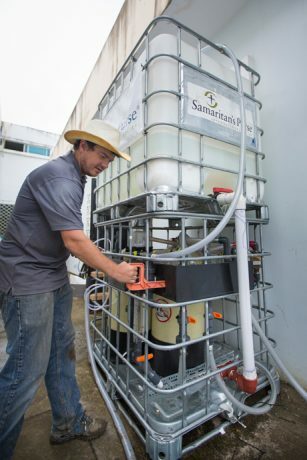 Samaritan’s Purse has installed a water filtration unit at the local hospital in Jama, Ecuador. This system will ensure that the hospital and surrounding community have access to safe drinking water. The community water filtration system set up in Jama should help meet both short-term and long-term needs for potable water. Before the earthquake, the hospital relied solely on water from the municipality. However, the quality of this water was unreliable and often compromised. After the 7.8-magnitude quake hit Ecuador on April 16, the city’s water supply was damaged. So, the medical facility was forced to rely on donated bottled water. When Samaritan’s Purse identified the pressing need for a clean water supply at the Jama hospital, teams immediately began to determine the best way to help. After considering the options, Samaritan’s Purse and our partner Water Mission worked together to install a water treatment system. This filtration unit will directly impact some 200 people each day at the hospital as well as provide clean water to thousands in the community through the public tap. The people of Jama are encouraged and excited by this filtration system. Many of them could not afford to buy bottled water even under normal circumstances, making it nearly impossible to purchase in the aftermath of the earthquake. Because of this, they were often forced to drink contaminated water. 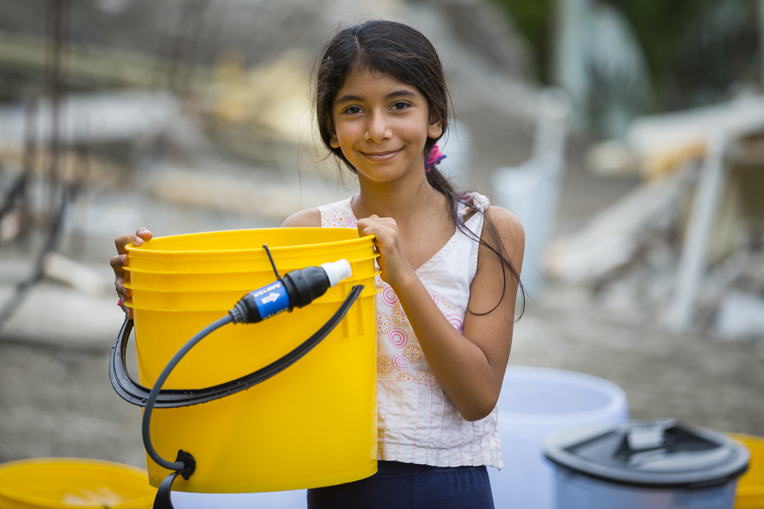 The people of Ecuador are grateful for access to clean water following the April earthquake. “This system will serve an immediate relief need, but it will also, Lord willing, serve a long-term need for safe drinking water in the Jama hospital,” Alex Wann said. The Jama community is extremely grateful to Samaritan’s Purse for installing the water treatment system. Now, they have a trusted water source that is reliable and accessible, and it will benefit their community for years to come. In addition to the water filtration system in Jama, Samaritan’s Purse has also started distributing hundreds of household water filters to earthquake victims. Please continue in prayer for the people of Ecuador and for the entire Samaritan’s Purse response team on the ground.